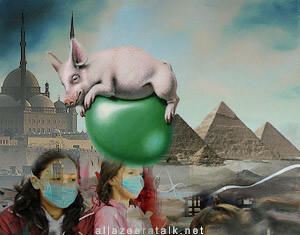 swine flu, originally uploaded by Ashour talk. 22,000 pigs executed so far, over 300,000 to go. Weird collage from Flickr. Pressure on Israel: What, are we Arabs to be pressured?